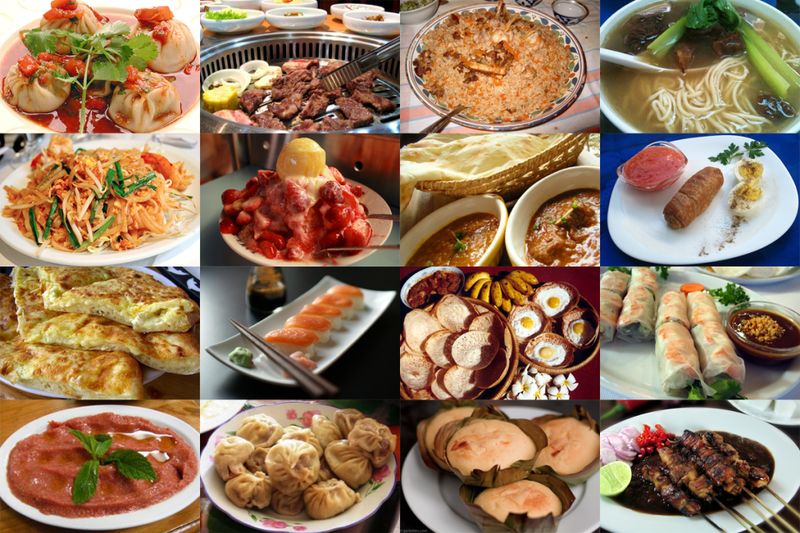 Can we take a look at the list of different tasty cuisines around the world? These cuisines make a specific set of cooking traditions and practices, often associated with the specific culture or region. For all the food lovers who like to wander around tasting different cuisines across each region, here there is list of few famous cuisines listed below. French cuisine can also be called as “haute cuisine” is as famous as the French poetry or French arts. Pastries form the major part of French cooking. Following that, cheese and wine take part the next major roles in this cuisine. In Paris alone, there are 5000 place to eat and enjoy. The main outline of this type of cuisine is less spicy with more herbs and creamy sauces. They were the one who used typical ingredients like roux, fish stock and introduced techniques like marinating. Since France is a country of food lovers, the food culture contains some interesting facts. Food is to be enjoyed and savored and thus, every lunch time in France is usually two hours long just for this reason. As a result of a survey taken among 500 people, it was concluded that French restaurant are the most romantic places than any other European food places. Before eating a meal, the French people use to say “Bon Appetit” which means “Good appetite”. Officially, it is said that France produces 365 different types of cheese. That is to say a different type of cheese for each day of the year. Almost all grocery shops close at 8.p.m and are closed on Sundays. There are exceptions in big cities. Italian Cuisine is one of the oldest cuisines in the world which can be tracked back to fourth century BC. They are the people who introduced Potatoes, tomatoes, bell peppers, maize in the ingredients. Just like French cuisine, Italian cuisine also makes use of cheese and wine as the major ingredients. Italian cuisine is considered to be the world’s favorite and popular cuisine since it is noted for its regional diversity (every region of Italy has different foods) and plenty of varieties with difference in taste. The famous foods like Pasta, Pizza, Spaghetti (pasta like food) have been introduced from the Italian cuisine. Italians take their food very seriously. The main meal of the day is the lunch time. They drink milky coffee called cappuccino in the morning for breakfast. They used to dunk some cakes or biscuits into the coffee before having it. They do not take milky coffee at other times. Pizza was invented during 18th century and in the beginning it was considered as the food of the poor people. Later, Queen Margherita had a chance of eating that flat bread which became one of her favorites. Then she ordered her chef to make that pizza in different varieties with different sausages and cheese. Originated from various parts of China, about one third of the world’s population have started to eat the Chinese foods. The cuisine is easy to cook, economical and tasty. Most of the recipes are prepared in bite-sized pieces since the Chinese do not make use of knife and fork. The world’s famous foods like Fried rice, Noodles, spring rolls have been introduced by the Chinese cuisine. Chinese do not make use of knives and forks because they consider it as weapons. That’s why most of their foods are boneless meats and chopped vegetables. Authentic Chinese food is said to be good for diet since it contains less meat, oil, spice and more vegetables. An average Chinese take 2,700 calories a day but does not gain much weight since the Chinese foods have balanced diet with grains, meat, vegetables and tea that they take with the meal. Here comes one of the most favorite cuisines in the world. Indian cuisine mostly contains foods that more spicy and hot. It can be classified into different categories according to the region such as North Indian foods, South, East and West Indian foods. Foods are mostly vegetarian, but include lamb, goat, chicken and also fish. In a survey taken, the most famous Indian foods around the world are Masala dosa, Chicken tikka masala, Hyderabadi biryani, kuruma and so on. Food habits in India are often ruled by religion. Bhuddhists are usually vegetarians. Hindus will not eat beef since cows are considered as sacred. In southern part of India, food is eaten in Banana leaves. Rice is the common food for most of the Indian, and in south India they cook rice in wide range of varieties and flavors. Apart from these cuisines, the other famous cuisines in the world are Thai Cuisine, Mexican Cuisine, Japanese Cuisine, Spanish Cuisine, Greek Cuisine and Lebanese Cuisine. Hope you enjoyed this interesting content! Better you can Subscribe Here to get latest updates within your inbox.